Dutch labor law is complex and may differ per branch or sector. When you add to this the fact that Dutch labor law is very different from the labor law of surrounding countries, you have a perfect mix for disaster waiting to happen to the unaware start-up employer. Especially the start-up is vulnerable in this respect; they feel the need to act fast and don’t have the time or manpower to explore all the exotic by-ways of Dutch labor law. You find here 11 do’s and don’ts any start-up employer should keep in mind to avoid the most common mistakes that are made by start-up employers in the Netherlands. I’ll also show you how to take advantage of the more employer-friendly options Dutch labor law provides. The aim of the do’s and don’ts is to increase the flexibility that a start-up needs and thrives on. Some of you will think these tips unkind towards your employees. My advice is that you should still read the following tips, just to be aware of the financial consequences of your choices and to avoid surprises. This might be a lot to take in at once, so I will start with a shortlist of the do’s and don’ts, followed by an introduction into Dutch labor law, and an elaboration on the do’s and don’ts. If working with freelancers, do make use of a standard contract approved in advance by the Tax Authorities (Belastingdienst) and make sure that the way the actual co-operation takes effect, complies with this agreement. You’ll find the main laws covering employment in chapter 10 of book 7 of the Dutch Civil Code (Burgerlijk Wetboek, often shortened to ‘BW’). Per sector, branch or company there may also be a Collective Labor Agreement (Collectieve arbeidsovereenkomst, or ‘CAO’), which is agreed upon by employers and/or employers’ organizations and employee unions. CAO provisions are often more generous than the compulsory legal requirements. A CAO is applicable to an employment contract if this is stated in the contract itself (voluntary commitment), if the employer is bound to a CAO through his membership of an employers’ organization and therefore one of the contracting party’s of the CAO, or if a CAO has status of law. If a CAO has status of law, it is published on the website http://cao.minszw.nl/. Besides the former mentioned Civil Code (BW) and collective labor agreements, there are numerous regulations concerning specific topics such as working hours and working conditions. These are outside the scope of this article. You should realize that Dutch labor law is at least partly and more often fully applicable to the employment contract of any employee who is working in the Netherlands. This is also the case when the law of another country is declared applicable. As a start-up, no matter where you’re from, you should therefore get informed about the basics of Dutch labor law, before starting the adventure of expanding your business in the Dutch market. Online you’ll find a variety of examples of employment contracts, some are better then others, both free and paid variants. One platform that offers a good collection of labor related contracts (including a variety of employment contracts, a severance agreement and a standard training costs repayment contract) for a decent price is www.arbeidsovereenkomsten.nl. The mistake above all made by start-up employers is that they commit themselves to an employee before they’ve made certain that their business development in the Netherlands is solid, and that this individual employee is the best person for the job. It can lead to high termination costs if either the business development or the employee doesn’t live up to the expectations. You can easily avoid this problem by starting the employment with one or more fixed term temporary employment contracts. Dutch law states that during a maximum period of 24 months, it is possible to enter into a maximum of three fixed term employment contracts. To calculate whether the maximum duration or amount of contracts is exceeded, you need to take into account all contracts that succeed each other with an interval of six months or less. From the day that the sequence of contracts exceeds the maximum period of 24 months, or the maximum amount of three contracts, the temporary employment contract automatically transforms into a permanent employment contract. You can create more flexibility when you include a provision in the employment contract that gives you the opportunity to terminate the fixed term contract midterm. When a fixed term contract lacks this provision, in the event of a midterm termination, you’ll have to pay the salary over the remaining contract period as extra severance pay. As the statutory transitional compensation is only due from the day forward that the employees’ service lasted at least two years, the start-up employer can save himself some money by making sure the total duration of the employment equals two years -1 day, or less. You have an extra opportunity to examine whether or not an employee is the best person for the job by including a trial period in the contract. Under Dutch law any employment contract that runs for more than six months (so at least six months + one day), can include a trial period. If the contract runs for two years or less, the maximum trial period is one month. Contracts that run for more than two years can contain a maximum trial period of two months. The trial period is legal when it is agreed upon in writing, and the duration of the trial period is always the same for employer and employee. Any trial period provision that conflicts with these conditions or exceeds the maximum period is not valid. This goes for the entire trial period. It is not possible to convert a not-valid trial period into a valid trial period. During the trial period both start-up employer and employee can terminate the employment contract with immediate effect. A reason for termination has only to be provided if the other party requires this. You cannot implement a trial period in a succeeding contract, even when there was no trial period in the former contract. The only exception to this rule is when the new position is substantially different from the former. In the Netherlands, both employer and employee have to observe a certain notice period when terminating an employment contract. 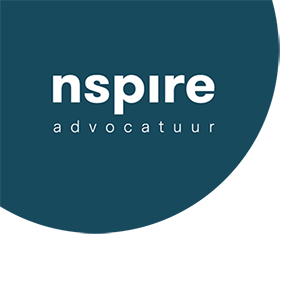 Statutory notice periods are regulated in the Dutch Civil Code (article 672 of book 7 of the Dutch Civil Code) and consist of one month for the employee and up to four months for the employer, depending on the total duration of the employment. Possibly the applied CAO contains different notice periods. If no CAO is applicable, the employer and employee can in writing agree to a notice period that differs from the statutory notice period. For you as start-up employer, it is not advisable to agree upon a notice period that differs from the statutory notice period. Any prolongation of the employees’ notice period results in a twice as long notice period for the employer. For example, if the employees’ notice period is two months, the employers’ notice period has to be at least four months, no matter the duration of the employment. This means less flexibility and possibly higher termination costs for you as start-up employer. So a sensible start-up employer applies only the statutory (or CAO) notice periods. As of 1 June 2015, an employer is required to inform the employee with a fixed term employment contract in time, at least one month before to the termination date, whether or not the contract will be renewed. If you don’t fulfill this obligation, you owe the employee a legal penalty of one months’ salary maximum. The smart start-up employer prevents this by including a no-extension clause in the employment contract. In doing so, you as start-up employer fulfill your obligation, and still have the option to offer an extension to the employee if the co-operation is successful. As many other countries, the Netherland has a minimum wage system. In addition, many CAO’s have additional regulations for minimum wages in specific branches or sectors. When no CAO applies in your company, employer and employee are free to negotiate any salary that is equal to or exceeds the minimum wage. In some branches or sectors it is customary that in addition to the salary, employees receive extra payments such as (travel)expenses, a bonus, or a company car. These extra payments can become a serious burden when your business takes time to start-up, or the performance of an employee is below expectations. For those situations a smart start-up employer includes a clause in the employment contract that gives him the opportunity to alter the conditions for the extra payments in case of changing legislation, new business insights, a change of position or (long term) absence or inactivity no matter the cause. This will provide you with the necessary financial flexibility when needed. Also popular among start-ups is to grant stock options. To Dutch labor law these options can be in addition to or instead of the salary, providing the capitalized actual worth of the options (and other salary components) add up to at least the minimum wage. As of 2018, a reduced tax rate will be in place for the employees of an innovative start-up, when their salary is paid in stock options. For more information you should contact your financial adviser. Especially in regard to sick employees, Dutch labor law is very different compared to surrounding countries. For instance, you as start-up employer are obliged to continue to pay wages during (at least) the first 104 weeks of your employees’ sick leave. During this period the employer is responsible (and accountable) for disability benefits and the mandatory reintegration process that follows legal termination of the employment contract. That is, when termination of the contract is at all possible. When, how and to whom does an employee call in sick? The salary the employer pays in case of sick leave. Dutch law states that an employee during sick leave, is entitled to a minimum of 70% of his salary (during the first 52 weeks with a minimum that is equal to the minimum wage). Most CAO’s are more generous. This applies to the basic salary; you should include in the employment contract if and when the employee on sick leave is entitled to any extra payments such as a bonus, company car, etc. Provided that this is agreed upon in writing, it is possible to withhold payment during the first one or two days of any sick leave. Periods of sick leave that succeed each other within four weeks or less are counted as one. If your employee doesn’t live up to these regulations, you can either suspend or stop the salary payment. It depends on the violation of your employee which of the sanctions can be applied. When you find yourself in such a situation, my advice is to contact a labor law specialist. Any start-up with a possible unicorn on their hands should include a non-competition clause in their contracts of employment. It would be very frustrating if after a lot of hard work and investing, your former employee takes off with your idea and business! You can bear in mind that you as start-up employer can always decide not to pursue a violation, so there is no reason why you should not impose such restrictions. When the non-competition clause is included in a fixed term employment contract, an extensive and individualized written statement needs to justify the necessity of the non-competition clause due to important operational or commercial reasons. You should know that since the implementation of this extra condition in 2015, only a very few non-competition clauses in fixed term contracts have been judged valid. But even so: better safe than sorry. A non-competition clause that doesn’t meet these standards is not valid. If a non-competition clause is as such judged valid, the court can still decide to limit the scope of the clause after weighing both employers’ and employees’ interests. If you include a non-competition clause, you shouldn’t forget to add a penalty to any violation. Without penalty, the non-competition clause is like a toothless tiger. The fine can consist of two components: a fine per violation, and an additional fine for each day the violation continues. “De boete zal verschuldigd zijn door het enkele feit der overtreding of niet-nakomen, maar laat onverminderd het recht van werkgever nakoming van deze overeenkomst te verlangen en laat onverminderd het recht van werkgever tot het vorderen van volledige schadevergoeding. (The penalty will be due by the mere fact of the breach or non-fulfillment of the non-competition clause, without prejudice the right of the employer to require the employee to obey the non-competition clause and to claim full compensation. Often as start-up employer you’ll discover after a certain period of business development that an employment contract needs an up-date or alteration. Even with an alteration-clause this might prove to be difficult because of the strong position of workers’ rights in the Netherlands. But, to this clause applies also: nothing ventured, nothing gained. If you see the need to alter an employment contract, your first step is to discuss this with the employee and try to reach a mutual agreement. When this proves impossible and the contract includes an alteration clause, you can decide to a unilateral alteration. In turn your employee has the option to file a complaint. The Court will balance the interests of the employer against those of the employee. A unilateral total termination of a certain right is in general less likely to survive the Court’s judgment then a (minor) alteration. Especially when the right that is affected has a financial component. You could try to make the alteration more acceptable by offering an adjustment period. It’s not something you want to consider as a start-up employer but it could prove unavoidable: to lay off an employee. Dismissal is one of the most complicated, and certainly most disputed subjects in regard to Dutch labor law. It is well beyond the scope of this article to give a full account of all the laws, rules and litigation concerning this subject. I will limit myself to a general explanation of the process relating to dismissal and highlighting the important focus points. If an employer gives notice of termination without obtaining prior approval, the employee can nullify the termination, or file a request for financial compensation. A lawyer specialized in labor law can help you to negotiate an acceptable agreement. If money is an issue, ask for a fixed fee. Is an agreement not an option, the following applies. If the reason for the layoff either is related to a reorganization, or follows a sick leave of more than 104 weeks, the employer is required to submit a termination permit (ontslagvergunning) to the UWV. The employer can file a request for the permit by completing a questionnaire on the UWV website. The next step is that the UWV informs the employee and provides the opportunity for a fair hearing. If permission is granted the employer can give final notice. Dutch statutory law provides a limited amount of reasons for an employer to request the Court to terminate the contract of employment (in article 669 section 3 c-h of Dutch Civil Code). To grant the termination of the contract, the Court has to rule that at least one of these reasons is fully substantiated. The Court’s judgment on a termination depends mostly on the extent and detail of the personnel file, this file should sufficiently support the claims of the employer. So it is important that you are sure to take enough time during the employment, to regularly and critically assess the performance of your employees. Being critical is important. Not only because it is the only way to develop a usable personnel file, it also shows the employee where he stands. A regular critical assessment prevents situations to get out of hand, based on a mismatch of expectations of employer and employee. A well-documented personnel file also comes in handy while trying to come to an agreement with the employee before or parallel to legal action. Provided a few exceptions every employee who is dismissed after at least two years of employment is entitled to a statutory transitional compensation. The maximum compensation equals € 77,000 before tax in 2017. Is the employees’ salary higher; the compensation equals the annual salary before tax. Not taken into account in calculating the amount of the compensation, is the period of employment before the eighteenth birthday of an employee. Should the length of the average working week be 12 hours a week or less, then that is also not taken into account. Neither is the compensation payable if an employee’s contract is terminated due to the employee reaching or exceeding the General State Pension or retirement age (AOW). The exact transitional compensation depends on the age of the employee and the total duration of the employment. You’ll find many online tools to calculate the compensation. The following website provides a practical tool that produces a correct calculation. You do not need to pay a transitional compensation when the cause of the termination or non-prolongation can be attributed to the employee. For instance: the employee rejects an offer to extend a fixed term contract, or the employee is lawfully instantly fired. When an employee completely crosses the line, you as start-up employer can dismiss your employee with immediate effect. When you find yourself in such a situation, you should be aware of the fact that in Dutch labor law the employee has a strong position. Instant dismissal should therefore only be used as a last resort. Always consider less drastic alternatives such as an official final warning or unpaid leave, while working out how to bring about termination through one of the methods in chapter 8. Dismissal. The reason behind the protection of the employee is that he doesn’t only lose his salary after instant dismissal, but also all rights to unemployment benefits. The dismissal has to be announced immediately after the event, or at the moment the employer has been made aware of the event. The employer is allowed a minimum amount of time to investigate the incident and consult a specialist. It is allowed and advisable to take some time to confront your employee with his behavior and give him a chance to offer an explanation. But you should keep in mind that the amount of time passed between incident and dismissal is the easiest way for the employee to successfully fight the dismissal. The employee can challenge the dismissal and appeal to the Court. If the Court rules in favor of the employee, the employment contract will continue, or an additional compensation (billijke vergoeding) will be granted. This is in addition to the obligation to pay salary until the moment of legal termination of the contract. So a faulty instant dismissal is a costly business. When you are confronted with such an immediate dismissal situation, you should always contact a labor law specialist before making any irreversible decision. A minor investment before you take such a drastic step can save you a lot of money in the long run. You might feel that this is not very fair towards your employees, but it can save you a lot of money: many statutory compensations and penalties can only be enforced during a period of two or three months. The employee who submits a claim, is obliged to file a legal complaint within this period. When the documents that initiate the legal procedure are filed only one day too late, all rights expire. An appeal after an instant dismissal, for either continuation of the employment contract or an additional compensation. A request for the penalty due to not respecting the notice-obligation in relation to a fixed term contract. Do all these possible entanglements with Dutch labor law frighten you out of the idea to become an start-up employer, you can always hire freelancers. Is this for you the way to go, then you should make sure the freelance-contract is approved by the Dutch Tax Authorities (Belastingdienst). On the website of the Belastingdienst you’ll find standard contracts you can use, or you can use the tool for model contracts on www.demodelovereenkomst.nl/. It is very important you live up to the conditions put down in the approved free-lance contract. The Belastingdienst bases its judgement of the person being a freelancer and not an employee on the actual situation. When the co-operation looks too much like a regular employment situation – such as the start-up employer whom has too much influence on how the freelancer fullfils his part of the contract – the Belastingdienst may judge you to be an employer, with all the financial and tax related consequenses. 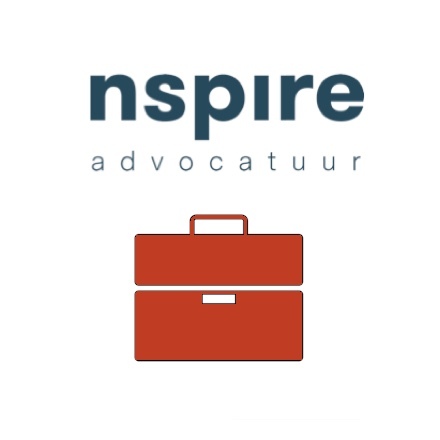 This blog was written by N. Sprengers LL.M., employment law specialist. 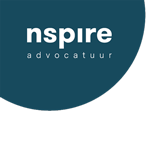 N. Sprengers is owner of Nspire Advocatuur (www.nspireadvocatuur.nl) and specializes in counselling start-ups on all labor law related topics during their quest to find their next unicorn.